The male bonding ritual started with cave dwellers beating their chests in unison. Today’s men don’t exactly beat their chests to make a connection, but the need to bond is just as important. It is a testosterone-infused process that enhances the male to male relationship whether casual or full-on bromance. There are standards for male bonding events—seeing a game, hitting a bar or playing poker—these are all traditional ways for the male of the species to get together and be, well…male. When it comes time for the next ritual, you should try thinking outside four walls, and take the party outdoors for a night of camping. The question is as complex as male bonding itself. The U.S. Fish & Wildlife Service reports that 90 million residents enjoyed wildlife-related recreation in 2011. There must be something fun going on out there. It is a cost effective way to spend some time with the boys—no budgeting for tips or cover fees to get into clubs. There is versatility in camping. You can hike, fish, hunt, swim—there is a little something there for everyone. Camping builds trust too, and that is what creates bonds. You must rely on one another when out in the woods. How does one go about setting up a camping trip? It starts with location. Finding the right spot makes or breaks the trip. If just planning to go out for one night, check with your local park and recreation department to see what campsites are available. Recreation.gov is an online resource to find parks and campgrounds in the area or you can just use our site - visit backcountrysecrets.com. Educate yourselves about safety. This is important no matter how you plan to spend your time but critical if going hunting. Consider an online safety course for you and your friends. Safety education at Huntercourse.com, for example, provides online training and testing. Research your destination before you go. This will not only help you and the boys get organized but is also an important safety tip. You need to know where the closest ranger station is in case of unexpected emergencies. Figure out what there is to do in the area, as well. That way, you don’t waste time wandering around looking for the hot spots. Pack wisely with essentials like sunscreen and water bottles. How you do you plan to cook? Do you need a camping stove or are you going to just build a fire? Find recipes to take with you, and make sure you have all the necessary ingredients and cooking utensils. 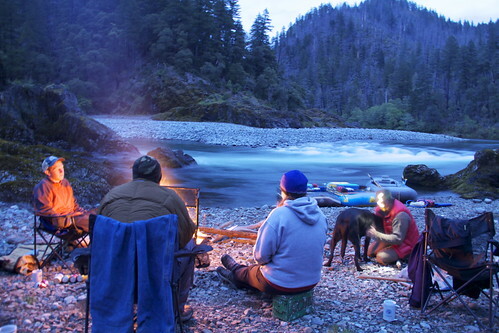 Add camping to your list of bonding rituals geared to enhance your male friendships. Nights out with the boys makes for relationships that last a lifetime, and camping might just be the perfect adventure.